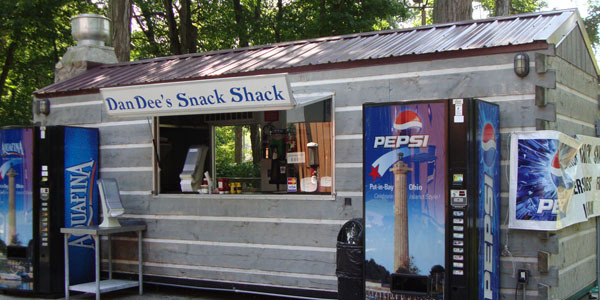 Fresh french fries, onion rings, mini corn dogs, chicken tenders, mac & cheese bites, veggie burgers and cheese sticks offer tantalizing choices for hungry visitors of all ages. Round out your lunch or snack with a red, white & blue bomb pop, a creamy Big Bear ice cream sandwich or a chocolaty fudge bar. Proudly serving Pepsi products.